LAS VEGAS, Feb. 17, 2018 – Two-time Olympian Sam Mikulak of Newport Beach, Calif./U.S. Olympic Training Center, and Asher Hong of Tomball, Texas/Cypress Academy, won the senior and junior all-around titles, respectively, after the second of two days of competition at the 2018 Winter Cup Challenge. The competition was held at the Westgate Las Vegas Resort in Las Vegas. Mikulak came into today’s finals with a 2.800 lead over Marvin Kimble of Milwaukee/Salto Gymnastics, who was second after day one of competition. Mikulak began on the pommel horse, posting a 14.850. On the still rings, he overrotated his triple back dismount to score 13.100. On the vault, his Yurchenko one-and-a-half earned a 13.650. In the fourth rotation, Mikulak earned his highest score of the day, a 15.450, on the parallel bars. He soared in the fifth rotation on the horizontal bar, cleanly catching a Cassina and a Kohlman. He stuck his layout double-double for a 14.850. 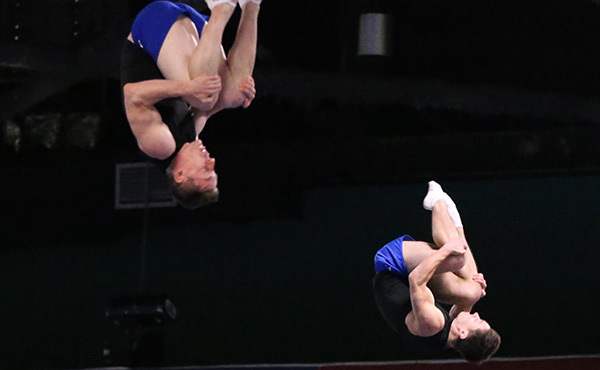 Mikulak ended his competition on the floor exercise, where he opened with a front double full to double front and a layout to double front half out. His 14.300 gave him an 86.200 in the all-around today. His two-day combined all-around score was 172.500, nearly six points ahead of second place. 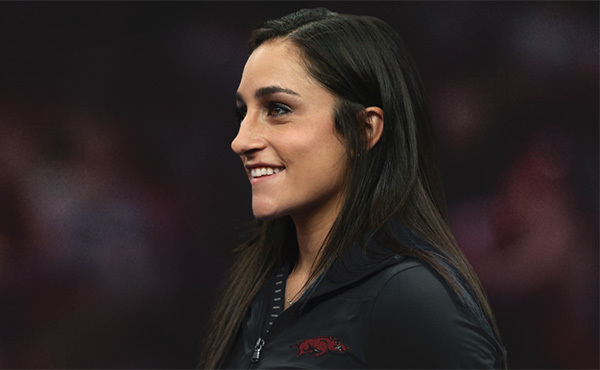 Kimble, who was a member of the 2017 World team, posted scores of 13.350, floor exercise; 13.600, pommel horse; 13.750, still rings; 14.700, vault; 14.050, parallel bars; and 13.600, high bar. He finished with a 166.550 two-day all-around total. 2016 Olympic team alternate Akash Modi of Morganville, N.J./Stanford University, finished third with a 165.900 combined score. In addition to the all-around, Mikulak took top honors on the floor exercise, parallel bars and high bar. 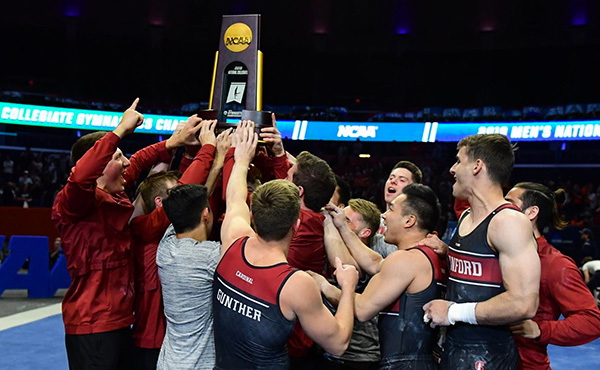 Alec Yoder of Indianapolis/Ohio State University, was the pommel horse champion, while teammate Sean Melton of Orlando/Ohio State University, grabbed the still rings title. Kimble was the champion on vault. 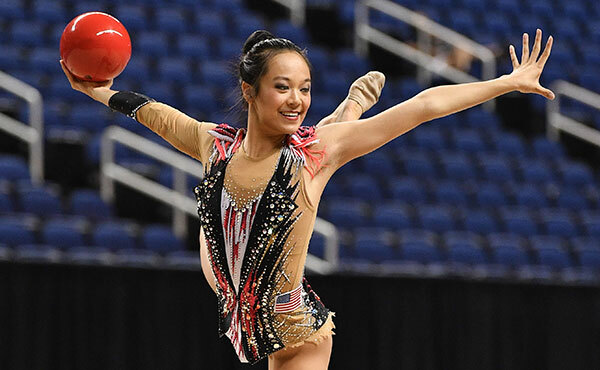 In the junior competition, Hong earned a 154.400 total in the all-around to claim the crown. He was followed by Bennet Huang of Palo Alto, Calif./University of Iowa, in second with a 154.000. Kevin Penev of Penfield, N.Y./RGA, finished third with a 153.550. Hong was the rings and parallel bars champion. 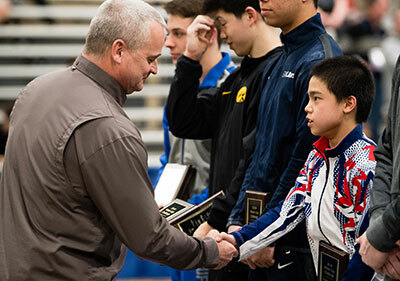 On floor, Paul Juda of Deerfield, Ill./Buffalo Grove Gymnastics, won the title, while Penev took top honors on the pommel horse and vault. Justin Ah Chow of Miami/Universal Gymnastics, was the high bar champion. Performances at the 2018 Winter Cup Challenge help determine the 12 men who will comprise the U.S. Men’s Senior National Team through the 2018 U.S. Gymnastics Championships in Boston, Aug. 16-19. Following the two-day competition, the top six ranked all-around athletes will automatically qualified for the 2018 senior national team. Those athletes are Mikulak, Kimble, Modi, Allan Bower of Chandler, Ariz./University of Oklahoma, Melton and Yoder. 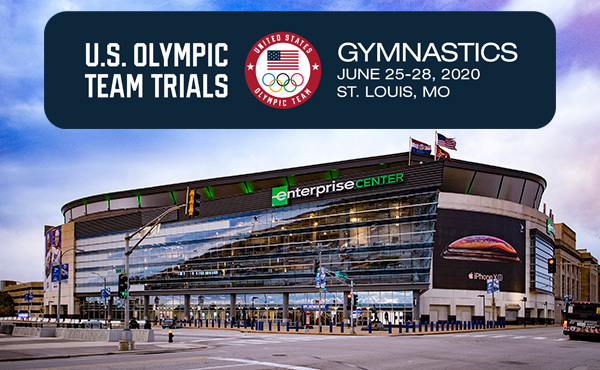 Based on his World Championships results, Yul Moldauer of Arvada, Colo./University of Oklahoma, was also automatically selected to the national team after he advanced to the finals. 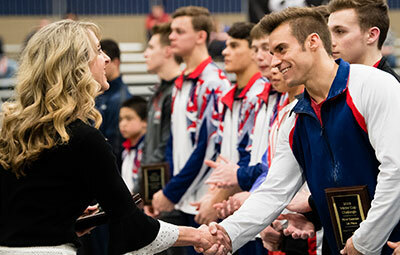 The Men’s Program Committee will select six more gymnasts from the participants at the Winter Cup Challenge or from petitions to the team. 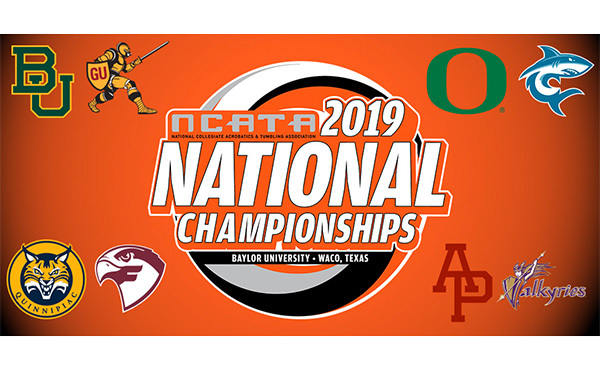 For information on the points ranking system used for advancement to the final round, as well as the one for determining the national team, click here.